It is well known and widely accepted that a diet high in saturated fats (found in high-fat meat and dairy products) and trans fats (found in baked goods, processed foods, and margarine) is a major risk factor for heart disease. But what about other types of fat? Fat is no longer the evil, weight-gain-causing macronutrient it was once believed to be. In fact, certain types of fats are incredibly healthy and can actually help lower cholesterol and prevent heart disease. In this article, I will attempt to clear up any confusion about the “healthy” fats that have gained mainstream popularity lately. When you hear somebody talking about “healthy” fats, they are most likely referring to omega 3 fatty acids. So, what exactly are omega 3 fatty acids benefits and where do they come from? Omega 3 fatty acids are essential fatty acids, meaning that they are necessary for our health, but they are not produced by our bodies. The reason that essential fatty acids such as omega 3 fatty acids are so highly regarded is because omega 3 fatty acids benefits include reducing inflammation in the body. And since inflammation is a leading contributor to most diseases states, essentially fatty acids benefits are vital for optimum health. If we reduce inflammation, we are preventing many common causes of mortality and morbidity, including heart disease, a variety of cancers, Alzheimer’s disease, kidney failure, stroke, arthritis, skin disorders, and the list goes on. 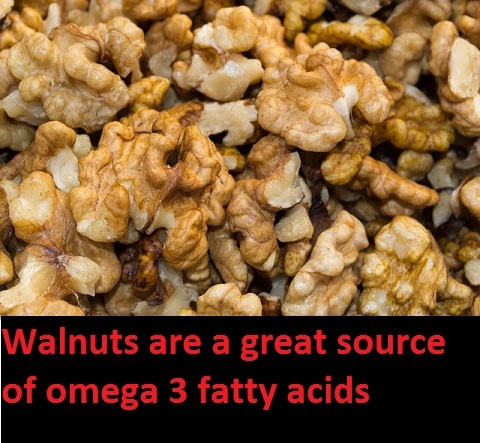 Because our bodies do not produce Omega 3 fatty acids we need to consume them through the foods we eat. There are many foods high in omega 3 fatty acids that will allow you to reap the omega 3 fatty acid benefits. Foods high in Omega 3 fatty acids include flax seeds, chia seeds, walnuts, salmon, tuna, halibut, shrimp, herring, sardines, trout, and soybeans, navy beans, and kidney beans. 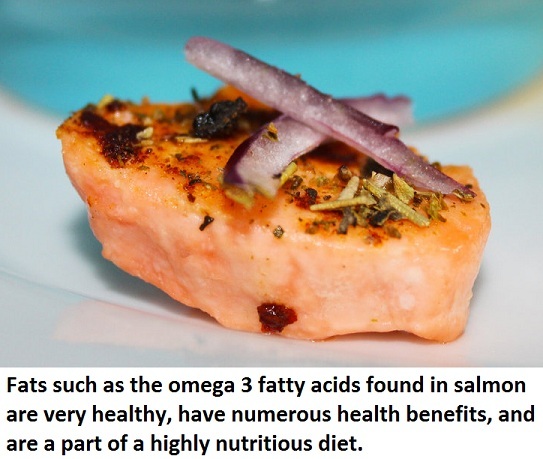 Consume these foods to acquire the omega 3 fatty acid benefits. I have overheard people talking about this subject, and there seems to be some confusion over the difference between omega 3 fatty acids and omega 6 fatty acids—they are not one and the same. Omega 6 fatty acids are also essential fatty acids, like the omega 3s. However, omega 6 fatty acids tend to promote inflammation. This does not mean that omega 6 fatty acids should be completely avoided, because they do have important functions in the body and there are many omega 6 fatty acid benefits, and inflammation is not necessarily a bad thing as long as that inflammation is not chronic. Here is where the importance of the ratio between omega 6 fatty acids and omega 3 fatty acids comes into play. The closer the ratio between the two essential fatty acids is to one (meaning the amount of omega 6 fatty acids and omega 3 fatty acids consumed is the same), the better. The average American diet consists of an omega 6 fatty acid to omega 3 fatty acid ratio of 20:1! This is thought to be one of the main reasons that heart disease is on the rise. So, how can you stop this inflammatory process? The first step is awareness. You now know all the sources of omega 3 fatty acids (remember, omega 3 fatty acid= anti-inflammatory=good), and you can slowly start adding these items to your meals and snacks. Limiting some of the foods that are high in omega 6 fatty acids is a good idea as well. Foods that contain high levels of omega 6 fatty acids include any product containing corn oil, sesame oil, soy oil, safflower oil, peanut oil and sunflower oil — basically all processed foods. Almost any “snack” type item you buy contains these oils, from chips to cookies to salad dressings, to mixed nuts. As a side note, olive oil and flaxseed oil are the best choices when it comes to choosing an oil. It’s very important to read the ingredient list when buying packaged items, because otherwise you really have no idea what you are eating. There you have it, a simplified summary of “healthy” fats and how they can both promote and reduce inflammation. The fancy research always seems to point to the same basic nutrition principle: a diet consisting of an abundance of whole foods and a small amount (preferably no amount, but I’m trying to be realistic here) of processed foods is best. Make sure to consume an adequate amount of these essential fatty acids and begin to feel all the omega 3 fatty acids benefits and omega 6 fatty acids benefits. The best krill oil reviews, krill oil information and krill oil studies. I had osteoarthritis with joint pain. I take omega 3 fish oil and Flex g.c.m (flexgcm.com). The combination has helped reduce pain and inflammation and also allow me to keep my active lifestyle. I stopped taking NSAIDs for two years now. That’s awesome. Nsaids have a lot of nasty side effects. It’s great that you found relief with fish oil and flex. A lot of people find fish oil to be very helpful in reducing inflammation. I personally have rheumatoid arthritis and fish oil has helped me out as well.